For general inquiries about the Commission's activities, send e-mails to publicaffairs@fcor.state.fl.us or call (850) 922-0000. 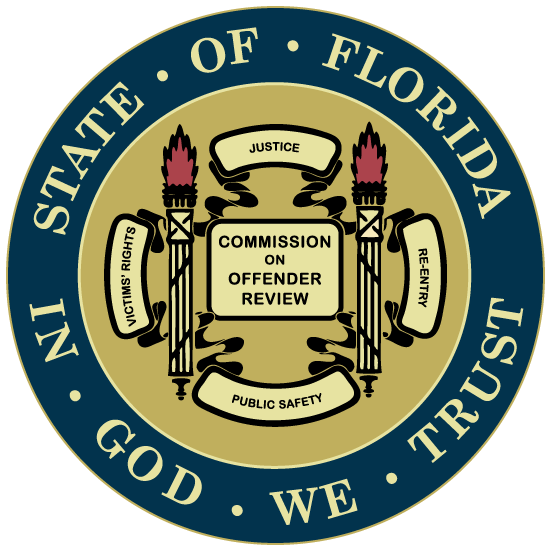 All press inquiries about the Florida Commission on Offender Review should be directed to the Public Affairs Office at (850) 921-2816. E-mail inquiries can be directed to publicaffairs@fcor.state.fl.us . 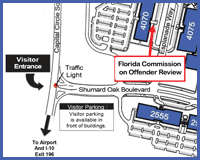 Addresses and directions to Commission on Offender Review Field Services Offices can be found in our Field Services Directory. For notification of inmate releases, contact our Victims' Services Unit at 4070 Esplanade Way, Tallahassee, FL 32399-2450 or call (850) 487-3259 or toll-free 1-855-850-8196. You can also send an e-mail to victimsquestions@fcor.state.fl.us . If you are unable to attend or you choose not to attend a hearing, you may submit a written statement expressing your support of an inmate, which will be reviewed and considered by the voting Commissioners. Please call 1-800-335-3396 or submit your statement to InmatesSupporter@fcor.state.fl.us . For information regarding applications for restoration of civil rights and alien status, full pardons, remission of fines, waiver requests, commutations of sentence and specific authority to own, possess or use firearms, please visit our Clemency page or contact the Office of Executive Clemency at 4070 Esplanade Way, Tallahassee, FL 32399-2450 or call (850) 488-2952 or 1800-435-8286 or by email at ClemencyWeb@fcor.state.fl.us . If you should have any inquiries relating to a recent revocation issue, please contact our Revocation Unit at (850) 488-0611 or revocations@fcor.state.fl.us . For e-mail addresses of FCOR employees and division and mailing addresses for Commission on Offender Review Offices visit our Directory Information page. For problems or questions regarding this web site (can't find something, a link doesn't work, information is incorrect, etc.) 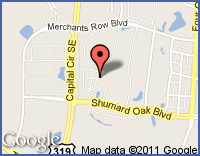 send e-mail to the webmaster at webmaster@fcor.state.fl.us .